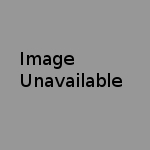 A basic game of strategy that is easy to learn but takes real skill to master. 4 different game types and over 300 layouts! Great for any Mah Jong enthusiast! Great single-player story mode and online competitive play against players around the world! A grand adventure around the farm! Are you ready to fight a mighty sorceress? Make your reservation for tile-matching madness with this suite of Mahjong fun! 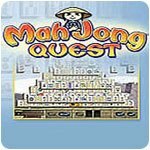 Fast-paced mah jong like you've never played it before! Play mah jong plus tons of great mini games to find the amulets! Over 300 new layouts and 4 fun game types! Save the land from dragons through mahjong puzzles! 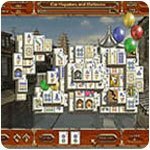 500 new puzzles & play others online around the world! Complete games of Mahjong to suit any taste. Journey through a magical world! Mahjong just got more challenging with this new version! Enjoy a quick clean game of mahjong in any kind of setting. Thousands of layouts and more every day! Explore a world of love and romance! Take part in a Mahjong tournament! Increase your rating and move up the ladder of Champions. Track down artifacts by solving mahjong puzzles. This is mahjongg like you've never seen before in 3D! Can you match all of the tiles? Choose from 300+ mahjongg layouts and games! Take a galactic voyage to alien lands with Space Mahjong! Venice is sinking! Find a lost device to save the city.